ALTEN helps a European aircraft manufacturer to define the new functions to be introduced into current passenger aircraft by 2025. 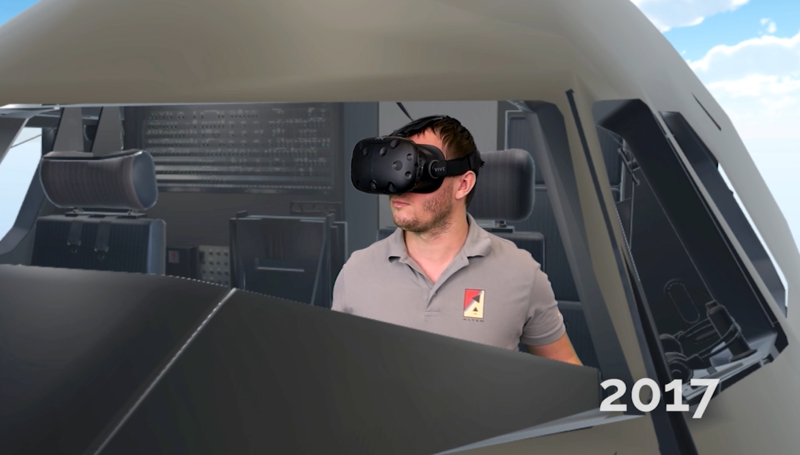 In order to quickly validate the new HMI (Human Machine Interface) concepts among test pilots, ALTEN has developed its own immersive environment creation platform based on the VR (Virtual Reality) technology. The aim being to reduce the crew’s workload and improve the safety of air operations. The scenario defined and the pilots must validate the human-machine interface modifications. The immersive VR technology places the test pilot in a virtual cockpit, that way the cockpit design team can quickly confirm whether the user has access to the information required. This digital revolution greatly reduces cost and design times by replacing physical simulation models.